Taking a jibe at Punjab Chief Minister Captain Amarinder Singh, Prime Minister Narendra Modi on Sunday said the former did not get time to attend the government’s Jallianwala Bagh event with Vice President Venkaiah Naidu as he was busy with ‘parivar bhakti’. Addressing a rally here, Prime Minister Modi said: “I have known Capt Amarinder Singh for a long time. I have never raised a question on his patriotism. I can understand the kind of pressure which must have been put on him for this kind of ‘parivar bhakti’ (devotion for family).” “He boycotted the event. Do you know why? Because he was busy in ‘bhakti’ of ‘Congress parivar’. He went to Jallianwala Bagh with naamdar (Rahul)but did not find it right to attend an event with Vice President. This is the difference between ‘Rashtrabhakti’ (nationalism) and ‘Parivar bhakti’,” he added. 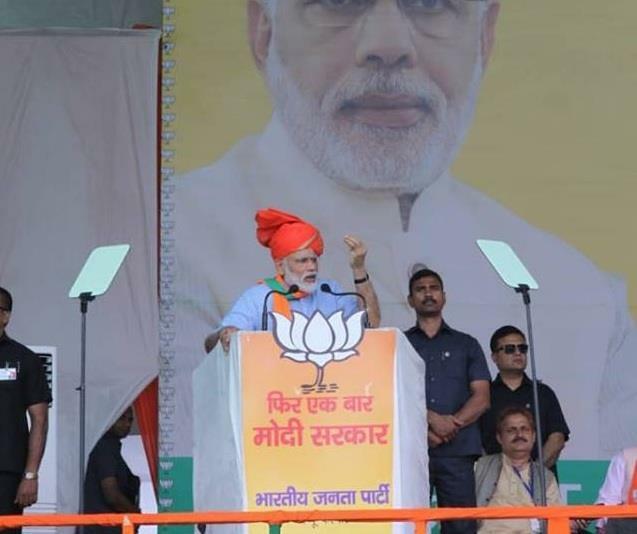 Prime Minister Modi also accused Congress of politicising a “sensitive occasion” like the Jallianwala Bagh massacre, adding that the Vice President was in Amritsar for a government event. On Saturday, Gandhi laid a wreath at the Jallianwala Bagh memorial on the centenary of the massacre. He was accompanied by Amarinder Singh and state minister Navjot Singh Sidhu, among others. Hours after Gandhi’s visit, the Vice President also visited the memorial and released a commemorative coin of Rs 100 and a postage stamp. The Jallianwala Bagh massacre took place on 13 April 1919 when troops of the British Indian Army under the command of Colonel Reginald Dyer fired machine guns into a crowd of unarmed protesters and pilgrims who had gathered in Jallianwala Bagh in Punjab’s Amritsar on the occasion of Baisakhi.